Newcastle Gateshead Convention Bureau has secured £11.6m worth of meetings and events for the region in the last financial year (2014-15). The bureau brought in national and international association meetings worth more than £6m, academic meetings valued at £2.5m and corporate meetings and events worth £1.6m. New wins for this year include the Librarians' Information Literacy Annual Conference, which is currently taking place at Newcastle University; The British Society of Gerontology Annual Conference 2015 taking place from 1-3 July; and The 13th International Cognitive Linguistics Conference from 20-25 July. Paul Szomoru, head of business tourism at Newcastle Gateshead convention bureau, said: "It’s a fantastic result from a great year’s work by our dedicated team. Over the past 12 months we’ve introduced a smarter business tourism strategy that’s intrinsically linked with the area’s inward investment strategy and focuses on three key sectors: Creative & Digital, Marine & Offshore, and Science and Health - all areas where we have economic strengths and academic excellence at our universities." 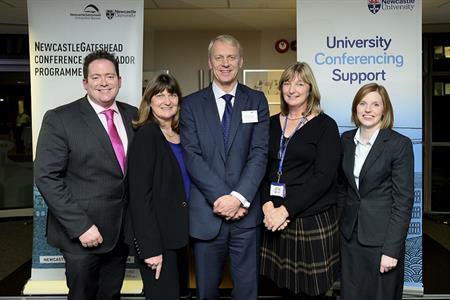 The bureau relaunched its Conference Ambassador Programme (CAP), which works with academics, researchers, and medical and business professionals to bid for and stage events, in 2014 in partnership with Newcastle University. "Engaging with new ambassadors helped us to attract more association meetings and events, and we’ll continue to work with them as well as Northumbria and Sunderland Universities throughout 2015 to maximise the vast opportunities in this market," added Szomoru.